We know you’re busy. There’s so much to do every day to keep your facility running. That’s why we’re offering up a few simple tasks to keep your boiler room operating at its best. Completing these small jobs will make a noticeable difference in how your facility functions. Safety first! Having the appropriate lighting in your boiler room is extremely important and will make it a safer place. A bright space will make it easier for technicians to do their job and service your boiler. A clean boiler room is important for safety purposes. 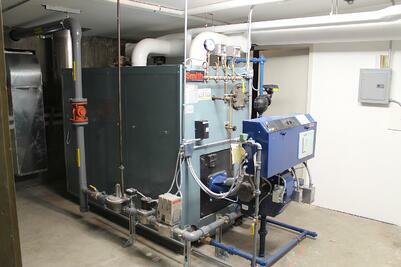 Your boiler room can sometimes be used for storage, however it should be appropriately organized. The room should be easily accessible and kept free of debris. Can you eat off your boiler room floor? While using the 2 second rule, of course! Cleanliness is one of the keys to keeping your facility operating efficiently. 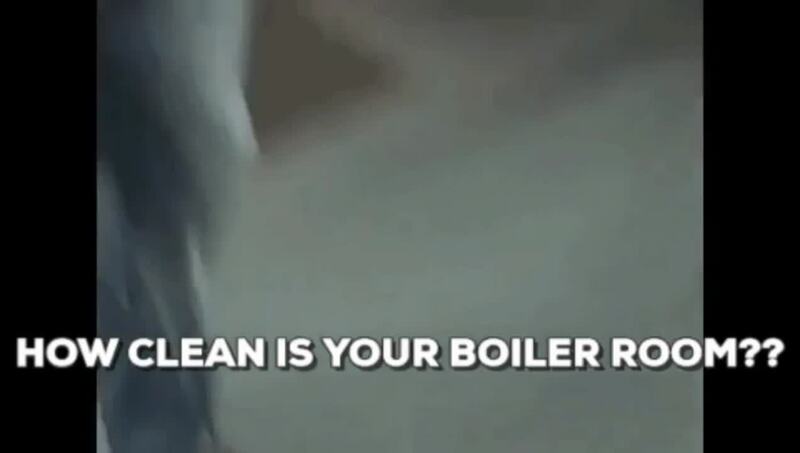 Your boiler needs to breathe. It’s important for your boiler room to have adequate fresh air flow so the boiler can run properly. Make sure all louvers are working as designed and free of possible debris. As mentioned in #2, your boiler room should be clean to help keep the air moving! Your boiler works hard and sometimes parts can break or fail to perform as well as they did when they were new. If you’re stocked and ready, you won’t get caught in an emergency. Certain parts are imperative to your boiler, including: igniters, scanners, fan motors and transformers. Having these parts on hand guarantees minimal downtime. Proper maintenance ensures boiler reliability, longevity and efficiency. When your boiler is running efficiently, it also means you’re saving money and have less emissions. Wilkinson’s experienced team of Service Technicians follow the proper procedures to get your boiler running like new. Your maintenance facility personnel should conduct a weekly eyeball check for anything out of ordinary. Keeping on top of how your boiler room operates means that any issues that arise can be dealt with quickly. Start these tasks today before the cold months roll in. You (and your boiler room) will be ready to keep the heat flowing all winter. As always, Wilkinson technicians are ready to help. Contact us at 800.777.1629 to schedule a service appointment.